Please Choose the specification you need，meanwhile, we can customize for you, our competitive price will send you in 12 hours. Quadruplex wire is a 4-conductor assembly of 1350-H19 conductor. The main materials of quadruplex cable is aluminum wire, PVC, PE and XLPE. In Huadong Cable Group, to produce the quadruplex overhead wire, the aluminum needn’t be soften. The resistivity of the aluminum should reach 0.028264Ω.mm2/m, the proportion of aluminum should reach 2.703g/cm3. As the main material of quadruplex service drop cable, aluminum is very important in the producing quad plex cable. China is one of the biggest output countries in the world. In the China, henan is the place that has the cheapest aluminum. So Huadong Cable Group has the ability to adopt the most competitive price and high-quality aluminum. The quality of aluminum will influence the quality of the quadplex service wire, and the price of aluminum will influence the price of the quadruplex wire. So don’t hesitate, send the inquiry, huadong can offer you the best quadruplex cable. 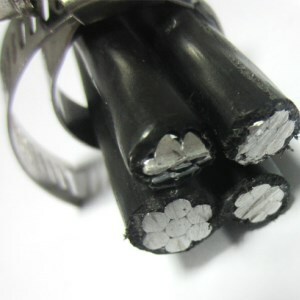 PVC is an important material of insulation of quadruplex overhead wire. 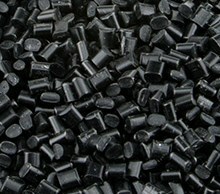 PVC plastics are as the PVC resin as the foundation, and mix a verity of ingredients. Such as antioxidant, filler, brightener and flame retardant. Its density is about 1.38-1.46g/cm3. It can be used for the insulation of quadruplex service drop cable, because it has some advantages. For example, it has superior mechanical properties, chemical resistance, non-flammable, good weather resistance and good electrical insulation. In the producing quad plex cable, it was easy to process. So the quadplex service wire with PVC has the good insulation. We can provide you the good insulated quadruplex overhead wire. So leave your message, we will provide the best price. 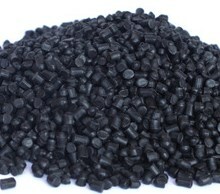 PE is polymerized from refined ethylene. 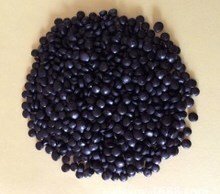 According to the density, it can be divided into low density polyethylene(LDPE), medium density polyethylene(MDPE) and high density polyethylene(HDPE). In general, the density of LDPE is 0.91~0.925g/cm3, the density of HDPE is 0.925~0.94g/cm3, and the density of HDPE is 0.94~0.97g/cm3. Different quadruplex wire sizes or quadruplex cable specifications will adopts different materials. Meanwhile, we can produce the quadruplex wire according your requirement. We have our own engineer, as long as you know your requirement, we can design the quadruplex cable for you, and satisfy your all reasonable demand. Meanwhile, if you want to see our producing video or visit our factory. Leave your message, we will reply within the 24 hours. There are two types XLPE. One is based on silane cross-linking agent, and it can be used in the quadruplex cable of low voltage. Another is a cross-linked polyethylene material, which is used DCP as the cross-linking agent. It is mainly used in the quadruplex overhead wire. Compared with PE, the XLPE has the excellent electrical performance. So it is used more in producing quadruplex service drop cable. Compared with PVC, the softening temperature of XLPE is higher. The normal operating temperature of the quad plex cable can reach 90℃. For PVC, it also has some disadvantages. For example, when it burns, it will produce the harmful gas. Its heat aging performance is poor. In the Huadong Cable, you can do choose the the quadplex service wire with the PVC PE and XLPE. We can customized for you with all materials, so get the price now. For the quadriplex wire, we have all kinds of quadruplex wire sizes and quadruplex cable specifications. So you can choose according to your demand. How to choose your right quadruplex cable specifications? You must know clearly about your demand at first. Such as the specifications, the installing environment and the application, then you can start to choose the quadruplex overhead wire. Secondly, facing all kind of quadruplex service drop cable, you must know how to judge the high-quality quad plex cable. if you don’t know, you must choose the big factory. Huadong Cable has the abundant exported experiences, we will never let you down. So if you don’t know how to choice, huadong will be a new and best choice. Huadong cable group is a one of professional cable & wire factory in China,mainly production and sales cable, it located in the industrial zone in Zhengzhou, it has rich aluminum resources in the word, high quality and competitive price. Welcome to visit our factory, leave your message, we will send you our address with 12 hours.